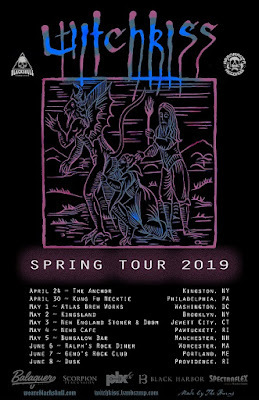 The band said, "This Spring, as we emerge from our winter riff writing hibernation, we will be hitting the road with some new songs and a new bassist as well. We will be playing some killer shows with our friends in CASTLE, BACKWOODS PAYBACK, SHADOW WITCH, CLAMFIGHT and YATRA along with a slew of other bands that were looking forward to jamming with for the first time also. 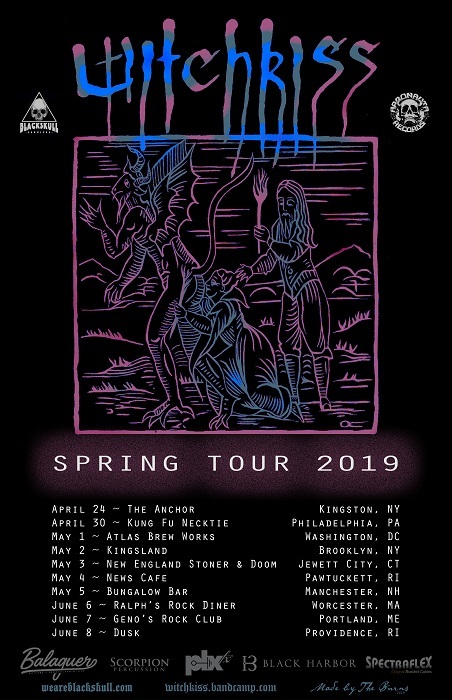 Along this run we will be hitting a bunch of rad places we’ve played already, new spots in DC, NH, RI and NY and a stop at the New England Stoner & Doom Fest. We are Beyond Stoked. Hope to see you in the Spring." All dates will be in support of the band's 2018 album The Austere Curtains Of Our Eyes which was released last year.